Indianapolis, Indiana – An Indiana patent attorney for Eli Lilly and Company of Indianapolis, Indiana; Daiichi Sankyo Co., Ltd. of Tokyo, Japan; Daiichi Sankyo, Inc. of Parsippany, New Jersey; and Ube Industries, Ltd of Yamaguchi, Japan filed a federal lawsuit in the Southern District of Indiana alleging that HEC Pharm USA, Inc. of Princeton, New Jersey and HEC Pharm Co. Ltd. of Yichang, China, infringed Patent Nos. 8,404,703 and 8,569,325, which cover the patented pharmaceutical Effient (pictured left). These patents have been issued by the U.S. Patent Office. Effient products were approved by the FDA for the reduction of thrombotic cardiovascular events in certain patients with acute coronary syndrome (ACS) who are to be managed with percutaneous coronary intervention (PCI, or angioplasty). Effient products contain prasugrel hydrochloride, which is also known as 5-[(1RS)-2-cyclopropyl-1-(2-fluorophenyl)-2-oxoethyl]-4,5,6,7-tetrahydrothieno[3,2-c]pyridin-2-yl acetate hydrochloride. The instructions accompanying Effient products state that patients taking Effient products should also take aspirin. The use of Effient products in combination with aspirin for the reduction of thrombotic cardiovascular events in patients with ACS who are to be managed with PCI is allegedly covered by the claims of the ‘703 and ‘325 patents. In July 2014, Plaintiffs sued Defendants asserting infringement of the ‘703 patent. 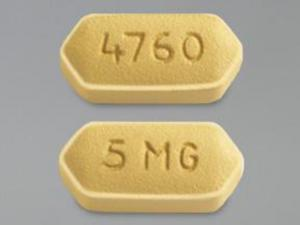 That complaint asserted patent infringement arising out of the filing by HEC Pharm of an Abbreviated New Drug Applications (“ANDA”) with the United States Food and Drug Administration (“FDA”) seeking approval to manufacture and sell generic versions of two pharmaceutical products – Effient 5mg and Effient 10mg tablets – prior to the expiration of the ‘703 patent. This patent covers a method of using Effient products for which Lilly claims an exclusively license. Specifically, HEC Pharm was accused of planning to infringe the patent-in-suit by including with its products instructions for use that substantially copied the instructions for Effient products, including instructions for administering HEC Pharm’s products with aspirin as claimed in the ‘703 patent. Plaintiffs contended in this earlier lawsuit that HEC Pharm knew that the instructions that HEC Pharm intended to include with its products would induce and/or contribute to others using those products in the allegedly infringing manner set forth in the instructions. Moreover, Lilly et al. also contended that HEC Pharm specifically intended for health care providers, and/or patients to use HEC Pharm’s products in accordance with the instructions provided by HEC Pharm and that such use would directly infringe one or more claims of the ‘703 patent. Thus, stated Plaintiffs, HEC Pharm’s actions would actively induce and/or contribute to infringement of the ‘703 patent. Plaintiffs ask the court for: a judgment of infringement; injunctive relief; a judgment regarding the effective date of Defendants’ ANDA; monetary damages; the case to be deemed exceptional; a judgment that the patents-in-suit remain valid and enforceable; and Plaintiffs to be awarded reasonable attorney’s fees, costs and expenses. The case was assigned to Judge Jane Magnus Stinson and Magistrate Judge Denise K. LaRue in the Southern District of Indiana and assigned Case No. 1:15-cv-00792-JMS-DKL.